Can a local boxing promoter fill the brand new Pechanga Summit? That question will surely be answered on September 28th when Showtime’s SHOBOX visits the brand new, extremely beautiful and also very spacious Pechanga Summit, a venue that will certainly challenge any present-day Boxing, MMA or Muay Thai promoter. If they can do so, then that promoter will have done wonders for all the local fighters plus gym owners within San Diego County. 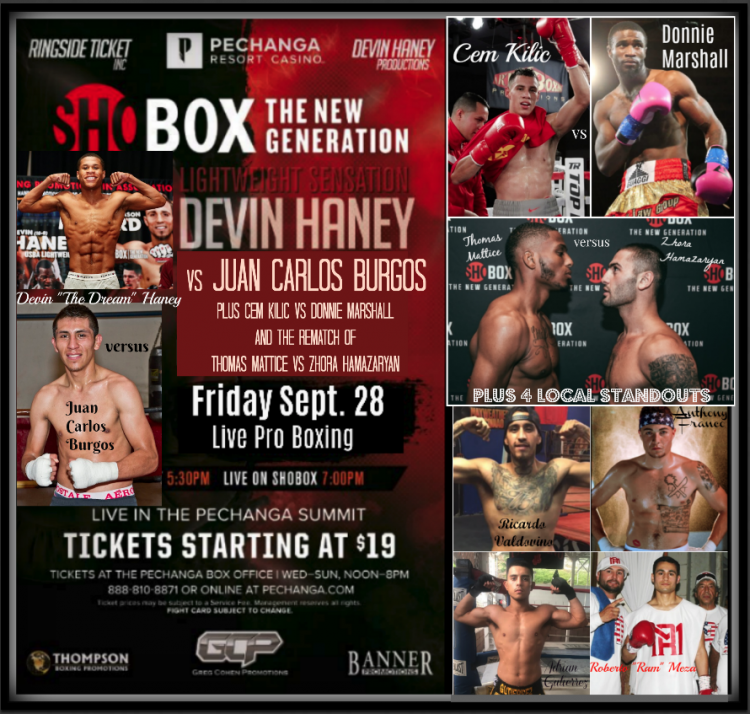 By now everyone, especially local Boxing Fans, should know that San Diego County’s Pechanga Resort & Casino will be hosting a Showtime Boxing Spectacular on the night of September 28, 2018, indoors at their brand new facility, the Pechanga Summit. This brand new venue is four times the size of the former Special Events Hall where promoters used to host such shows. In conjunction with the local Boxing, MMA, and Muay Thai promoters, this Casino has never failed to host a memorable show. As in the past, the well-schooled organizers have made a point of securing an impressive line-up of boxing talent for this Showtime SHOBOX Show which at present features five local standouts. 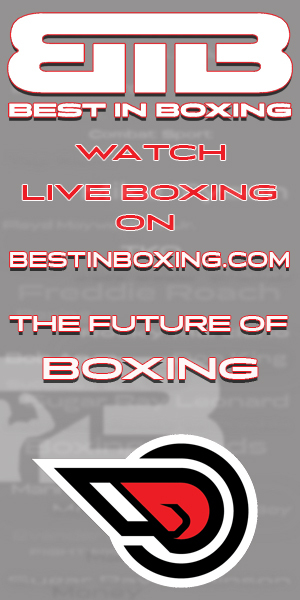 Below is a copy of the poster which is currently on display at most of our local boxing gyms. Once our local boxing fans learn of the boxers on this fight card, we’re hoping they too will become fully invested in the boxers’ upward mobility to become world champions. 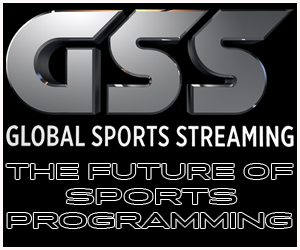 On Monday, August 27, 2018, came an announcement that a subversive group which goes by the fictitious moniker of “Top Rank” is planning to air a competing boxing show on the same night and at the same time in Oakland, California. It will feature Super middleweight world titlist Jose “Bolivita” Uzcategui who originally had been scheduled to face the mandatory challenger Caleb Plant, but then Plant was sidelined with a hand injury. Uzcategui, from Venezuela, has a substantial fan base here in Tijuana where he lives and in San Diego where his trainer, Jose Cital lives. Uzcategui will now be facing Ezequiel Maderna in a scheduled 10-round bout that will headline this Top Rank Boxing show on the ESPN+ card of September 28 beginning at the very same start time of 7:30 p.m. from the Oracle Arena in Oakland, California. Why couldn’t the oh-so-popular Jose Uzcategui (r) shown here with his popular coach Jose Cital, be fighting on a different night? The San Diego faithful need to pack the house at this upcoming show at the Pechanga Resort & Casino to prove to all that San Diego needs a fully vested local Boxing Promoter. For almost a dozen years the 27-year-old Uzcategui (27-2, 23 KOs), a Venezuela native, has trained locally in either San Diego or Tijuana. Not too long ago, Uzcategui moved his family from Venezuela to Tijuana. On March 3, 2018, Uzcategui won an interim world title after he knocked out Andre Dirrell in a rematch of Uzcategui’s controversial disqualification in their first fight back in May 2017. Uzcategui was elevated to a full titlist after James DeGale opted to vacate his 168-pound belt to pursue another fight rather than face Uzcategui. The Uzcategui-Plant fight was supposed to take place this summer but that was before Plant (17-0, 10 KOs) broke his hand. That injury left Uzcategui to opt for a non-title bout rather than sit idle. Maderna (26-4, 16 KOs), 31, of Argentina, who has won two fights in a row, has lost to all the better opponents he’s faced, including a fourth-round knockout to Artur Beterbiev, who went on to win a light heavyweight world title in 2016 and he lost to Edwin Rodriguez, who outpointed Maderna over 10 rounds in 2013. Also on this fight card, they’ve added 26-year-old super flyweight Jerwin Ancajas (30-1-1, 20 KOs), a 5’6″ tall, southpaw from the Philippines, who is co-promoted by Manny Pacquiao. He is coming off a unanimous decision against countryman Jonas Sultan in a May 26 title defense. Ancajas figures to be a fan favorite in Oakland as there is a large Filipino community in the Bay Area. “I am very excited to defend my title in Oakland in front of the great fans there, and I look forward to a great challenge from Santiago (Alejandro Santiago Barrios),” said Ancajas. “Since there is a large Filipino community in Northern California, I expect an incredible atmosphere inside the Oracle Arena.” The 5’2½” tall Santiago (16-2-4, 7 KOs), from Tijuana, is getting this 115-pound title shot with little in the way of a resume. He has never faced a notable opponent, has only beaten 5 opponents with a winning record plus he’s coming off a draw with Jose Martinez on March 24. The undercard will also feature the return of Jessie Magdaleno (25-1, 18 KOs), who will square off with fellow former junior featherweight world titlist Rico Ramos (29-5, 14 KOs) in a 10-round featherweight match. The 26-year-old Magdaleno from Las Vegas will be in the ring for the first time since losing his 122-pound world title by 11th-round knockout to Isaac Dogboe in one of the year’s most action-packed fights. Ramos, 31, of Pico Rivera, California, has won five fights in a row since being knocked out in the third round by Claudio Marrero in 2015. Also on the undercard, they have bantamweight Joshua “Don’t Blink” Greer Jr. (17-1-1, 9 KOs), 24, of Chicago, who just signed with Top Rank last week. He will be making his debut for the company in a scheduled 10-round bout against Giovanni Delgado (16-7, 9 KOs) from Tacubaya, District Federal, Mexico who has now lost five of his last six fights. So, you definitely have choices on September 28. You could stay home and watch both shows if you tape one and watch the other. 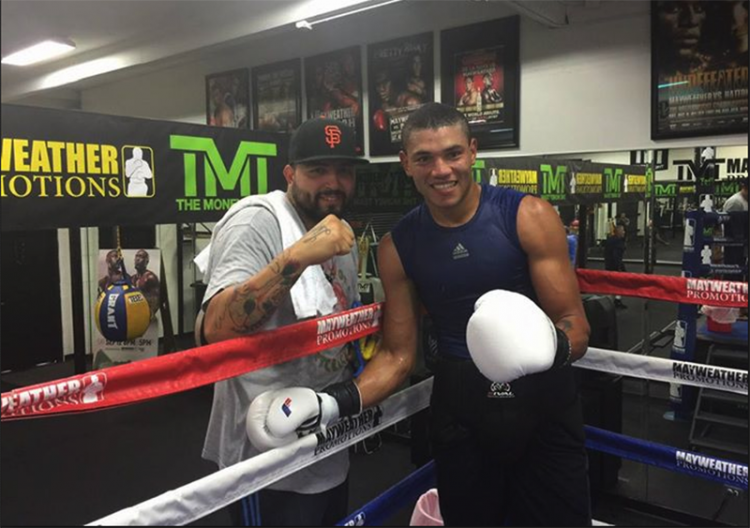 You could tape the Pechanga show, and get on a plane to Oakland to support Jose Uzcategui and Top Rank. What we’d like to see you do is set yourself up to tape the Uzcategui fight, and then get in your car and travel up the I-15 highway to the Pechanga Resort & Casino to see this live show that has your compatriots competing. If you do this, and the venue is packed to its capacity, then both Showtime and the Pechanga Resort & Casino will do as they promised, have regular shows at this local venue and thereby draw more and more of their talent from our local gyms. It would also establish a precedent that the San Diego Boxing Community can indeed support these local shows.